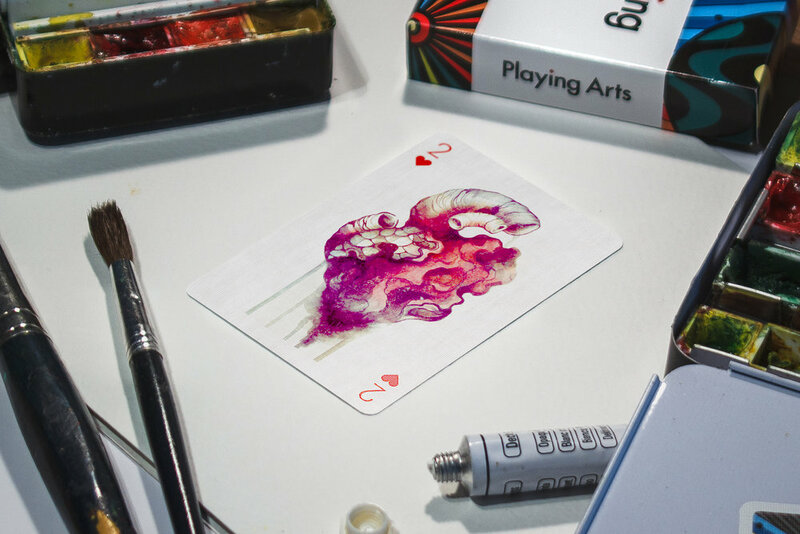 A deck of playing cards released by Playing Arts illustrated and animated in Augmented Reality by leading international artists. Playing Arts project originally launched in 2012 with the initial sensational playing cards deck called "Creative Cards". 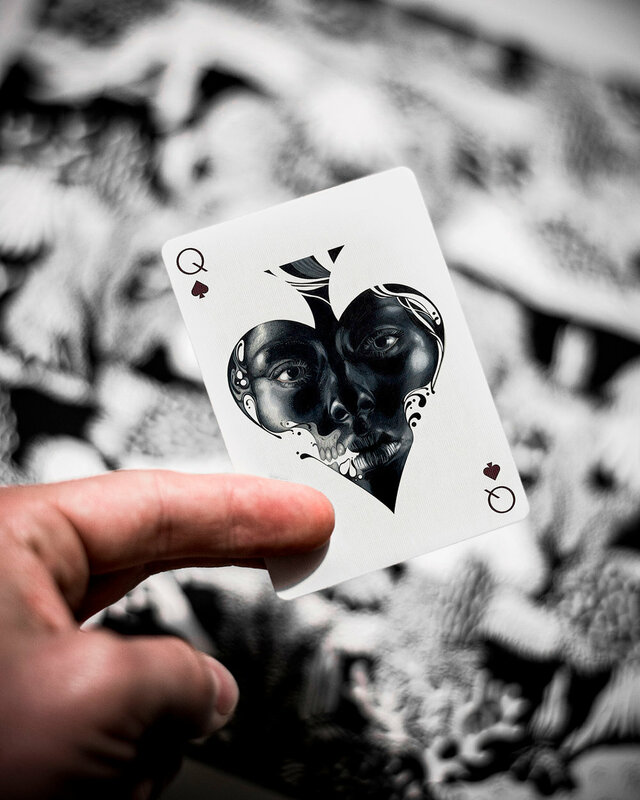 The idea of the project was to create a deck of playing cards where each card will be illustrated by different international artist in their own individual style and technique. Illustrations for each of 55 playing cards were made specially for this deck by different international artists in their own individual style. First ever artistic deck with AR experience. Animations will be experienced both on the website and through Augmented Reality mobile app. Printed by US Playing Card Company on legendary Bicycle® paper with Air-cushion finish for the smoothest feel. 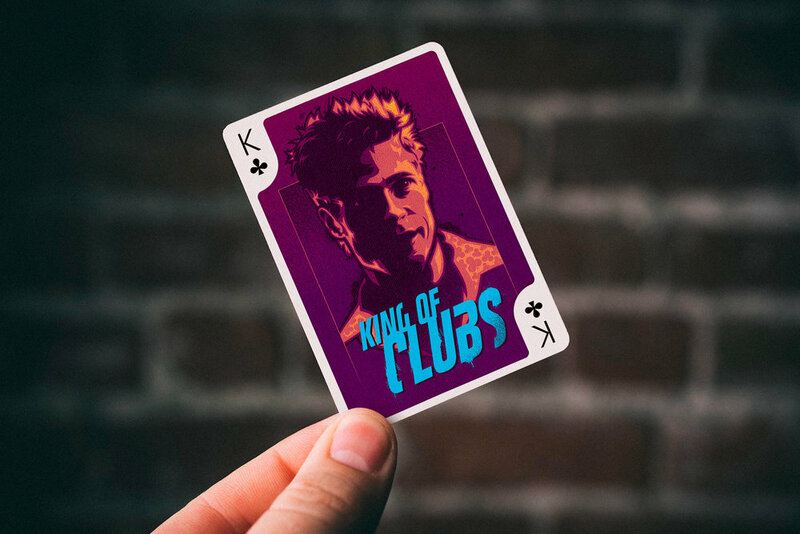 It's the highest quality coated playing card stock, perfect for creating beautiful spreads and fans if you are cardist or magician. The deck will come in poker size (88.9 × 63.5mm) with thin borders, so you can take it all from vibrant and colourful illustrations. Inside the box you will find 54 playing cards plus info card that features the names of all amazing artists involved in this deck as well as instructions on how to use Augmented Reality app.